My morning consisted of a hot cup of coffee (OK 3) and a read of the Canada Budget 2013 that was released Thursday. It’s quite long but I picked out a couple of bits to chat about today. After reading through it I found this quote from Minister of Finance Jim Flaherty,“We will remain focused on what matters to Canadians—jobs and economic growth, and ensuring Canada’s economic advantage today will translate into the long-term prosperity of tomorrow” motivational from my perspective as permanent resident. Returning to a balanced budget seems optimistic throughout the budget plan with the deficit projected to drop each year and the government hoping to balance by 2015-2016 which they believe will strengthen Canada’s fiscal advantage. When I read this budget update these key words stood out- promote, extend, provide, enhance, build, help, improve, continue, invest, create, support, connect, opportunities, action, increase, invest, renew, introduce and initiative, all words that I believe create a unity or air of optimism. As we all know when creating a budget anything can happen so I’m sure many Canadians will be following this closely to see how well we stay true to this budget and how it unfolds over time. I believe a fiscal advantage is important and like anything else in life I’m convinced that in order to stay on top Canada needs to make sure they are always one step ahead in the game. Life seems to revolve around who’s ready to take the next leap first and if we aren’t ready and leap before we have the knowledge and strength things can roll downhill and fast. When I emigrated to Canada I knew I was on my way to a country that was special and full of opportunity for me. Not only do I have a beautiful wife whom I love I am now living in a country that I believe has so much to offer those blessed to live here. Although some of you may laugh I can assure you that the UK is not getting any better and many I know are unemployed or are moving away to find work in Australia or hoping to move to Canada. Although I’m still relatively new to Canada I keep my eyes and ears open and brace myself for what might come our way as I’m certainly not a polished Canadian with years of experience. 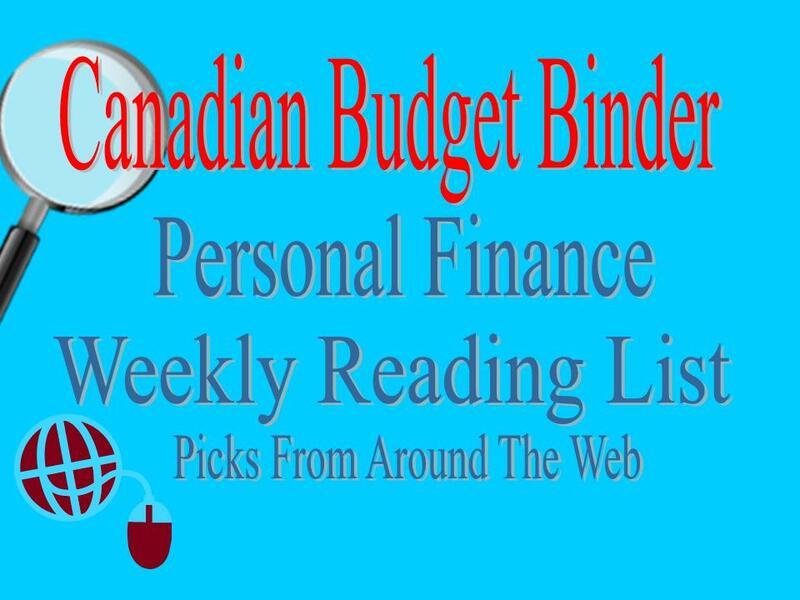 The Canadian Budget is a topic that can become controversial depending on who you talk to and how it affects them coupled with experiences in this country and knowledge of the people who run it- the government. When I arrived in Canada I’d like to say I was a skilled immigrant yet when I had my University credentials changed over I would have had to return to school to further my education to gain the same recognition in Canada as in the UK. In the new budget it’s stated that they want to enhance the foreign credential recognition processes and integration of internationally trained individuals into the job market. I took the plunge to make a big change in my life and with the guidance and opportunities presented to me by the Canadian government. I returned to school to study in order to obtain a career that was in demand in Canada and soaked up all the information that came my way. Besides, my new career is much more engaging and hands on, something that I would never have accomplished back home. I believe the enhancement will help Canada attract the best international talent especially if they know they can do what they are trained to do. When you read the 2013 budget plan I’m sure you can agree that connecting Canadians with jobs, economic growth and supporting families are spread thick and that in part is good for Canada. The new plan to improve economic growth to stay ahead by building roads, subways, bridges, commuter rail, public transit, highways and other infrastructures is something that I believe will not only create jobs but help open up the availability of services throughout Canada in a timely fashion. Although we always wish for more sometimes we have to take what we get and hope that the benefits are great for those in need of them. What’s that saying “you can’t please them all”. Adoption was a topic that was brought up in a conversation with friends just this past week and we talked about how expensive it is to adopt. Friends of a friend who were unable to conceive adopted a child but stated the process was not only long but also costly. The government aims to enhance the Adoption Expense Tax Credit in order to help those looking to adopt a child. There are many couples who struggle to conceive naturally or simply want to adopt a child who is waiting to find a loving family so hopefully this enhancement will prove beneficial for those who seek a child to call their own. We can now say goodbye to border tariffs on baby clothing and sporting goods and I’m sure parents may agree this will be a big help to them but only if the retailers pass the savings buck down the line. We don’t have any kids nor are we sports fanatics so this won’t really affect us but it may affect those families/individuals who could stand to save some money and who wouldn’t pass that up, right? I’m going to give retailers the benefit of the doubt with this one and say we will see price reductions comparable to our neighbours in the USA but time will tell. I can only assume with the 76 million dollar relief investment the government will implement some sort of system to ensure Canadians are benefiting from this. To be honest though, have you ever walked through the baby section at some of the local shops and read the prices on baby clothes? When you have to pay just as much for a pair of jeans for a baby as you would an adult clearly something is wrong. It’s no wonder parents aim to get second-hand baby clothes from Value Village, The Thrift Shop, Garage Sales, Mom to Mom sales and even heading over the border to the USA. We have friends who simply can’t believe the price comparison from Canada to the USA and shop in the USA to help reduce the costs in their family budget. Having a baby today is costly no matter what way you look at it whether it be every day baby items, maternity leave, day care or babysitting costs etc. It’s not surprising why the coupon phenomenon took off so fast these past years and it’s because we can’t do it all financially, so something has to give. Many couples are waiting to have kids because they simply can’t do it all. You can’t graduate from school with OSAP debt and expect to pay for a wedding then afford a down-payment for a house and then slap a baby into the mix to go on maternity leave for up to a year. That’s likely why we are seeing more couples getting hitched in their 30’s and having children later in life, if at all. As we all know debts can take years to pay back so when does life begin for most or do they just say sod it, we’ll deal with the debt along the way? It can be done but potentially without all the fairy tale luxuries they believe they are owed or desire. Although I agree that personal finance starts at home I also think the education system needs to take charge and educate children about money and budgets to help them on their journey. The disheartening part is that it might not be one person in the relationship with school debt it may be both partners which is a potential disaster waiting to happen for some couples. It’s no wonder many Canadian families are sinking fast into the debt pit. With education costs becoming outrageous and out of reach for many, some opt to forgo further education for a minimum wage job or one that requires only a high school diploma. We have a friend who has a son who is terrified of school debt and not finding a job so he is working to save up to go to school first. Not all parents can afford an RESP or to pay full/part tuition for their children so their options become limited. Never mind adults who simply want to return to school and already have a family, the struggle is always looming. Finally the government says they will not raise taxes in fairness to the system which I’m sure many Canadians are happy about. They will be cracking down on all the tax loopholes in order for them to keep taxes low so expect them to be pulling out the magnifying glass and scrutinizing everything with a fine tooth comb. All in all this is such a huge topic which I have barely touched on here today. If you are interested in the 2013 Canada budget I’d suggest giving it a read to see where your country stands in terms of working hard to make your world a better place. You can read the Canada 2013 Budget Here! What did you think about the new budget? These are my TOP 8 Blog Post Picks + Funniest Post of the Week and My Top Recipe/Frugal Blog Post of the Week!! Reach Financial Independence– Easy Guacamole Recipe in 5 minutes vs Mr.CBB’s Tangy Easy Guacamole!!! I’ve been waiting for Pauline’s recipe since we both love avocados so I’m going to test our her dip and I hope you try both our recipes and let us know what you think. Let Your Coupons Expire And Save Money! thank you for the mention mr CBB so it is you against me haha! Will have to try your recipe but haven’t found cumin around here and cream, well, it is artificial and not worth the expense. Cumin really makes the dip, pop with flavour. I’ve tried it without cumin and it seemed like it was missing something. You don’t need to use the sour cream, sometimes I do, sometimes I leave it …. depends. Yeah, baby clothes are expensive. We don’t buy any but I see friends and family buying them and boy, they spend a bundle. Thanks for the mention, Mr. CBB! Tough call on the guac – they both sound SO delish! Yeah, it seems as if Canada is one of the few that is even making an effort to get their financial act together these days. Not a good sign for the rest of the world. It should be a new law that all budgets need to be balanced and at least 5 % to repay debt. We have too much government. Keep education and health care, and make everything else user pay. When credit cards came so easily assessable,our society started on a decline. Personal debt went absolutely crazy. Of course this also increases prices for products, because many people don’t care how much it costs, just what the monthly payment will be. Now some stores have these incentives where you don’t start paying for years. (furniture especially). We obviously have more stuff, but if we had to buy second hand or save for it, we would have more disposable income. Get rid of welfare for single moms. If these young women knew they didn’t have this to fall back on, there would be fewer pregnancies by people who cannot afford them, or there would be more children available for adoption. In the 70’s my best friend got pregnant, and she lived with her parents, until she married a couple of years later. (to the baby’s father). She didn’t go on welfare…I don’t think it was even an option. There are too many facets of government, that are basically “paper shuffling”. When I worked, if I lost my job thru lay offs, I received Employment Insurance, which I paid into. Too many people have never even held a job. If we start taking away their incentive to stay unemployed, they may actually get a job. I’ve never seen so many excuses/reasons for not working. I love the ‘stress’ one. Anyone who works, has stress. Many of my co-workers pulled this excuse over the years. Funny part was, they all had time to smoke, drink, use drugs and party….and laughed about not working. The system needs to be overhauled. When they actually need to balance a budget, without increasing taxes, we would see a more steamlined government. The propbelm is, government jobs pay too well, and have a lot of perks, and no one wants to cut them. Thanks for sharing your input Kathryn. The same thing happens in the UK with single moms and I know plenty who got pregnant because they needed a house to live in because the government provides that to them in the UK. I’m not too familiar with the Canadian process but with anything if it is made easier to stay in the system often many will. There are always going to be the people that are actively seeking to work but how active is up to the government. I doubt there will be many changes but I’d be interested to hear others feedback on your comment. Cheers Kathryn. I gather that things haven’t improved any in the UK in the last few decades…… My grandparents came here back in the 1920’s I think. Dad was born here in 1931. They came here for the same reason as most…. a better life. 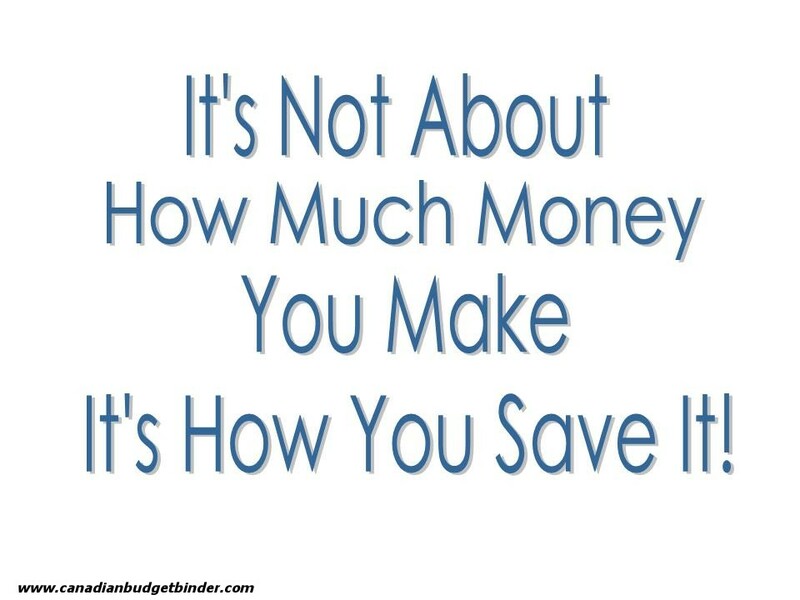 As for balancing the budget….. I’ll believe it when I see it, assuming I live long enough for it to actually happen. The numbers are a shell game writ large. I find it almost funny that the estimates will be off enough for the gov’t to find that we are doing better than the original estimates…….. especially if there is an election on the way…… I take anything the government says with a grain of salt…. and that grain of salt is the size of a Buick……It would be nice if they can work it so that qualifications earned back home can be translated into accepted qualifications here for so many occupations but, again, this is something that has been talked about for years and there are a lot of good people that are still waiting. Sorry but I lost faith in politicians a long time ago……. I also feel that the corner stone that they based this budget on…healthy economic growth in the next 2 years is pie in the sky wishful thinking. We are part of a global economy and the forecasted improvement is way off compared to the rest of the world’s projections. No way without some fairly substantial austerity measures in 2014/2015 are we heading for a balanced budget in 2015-2016. They are just leaving the mess for the next government to deal with & isn’t that how we got into this mess in the first place. No one wants to step up and make the hard choices. I’d be shocked if it actually balanced and although I want to keep being optimistic the odds are very slim I believe. We will see what happens and you are right no one wants to be the bad guy so they cover it with a layer of good in hopes that it will make up for the bad. We buy our baby clothes at Superstore and they have a lot of nice sleepers and other clothes for under $5. Thanks very much for mentioning my mom’s post. Cheers! It’s hit or miss but some of the kids items are off the wall expensive. When we go to buy gifts for friends sometimes I have to give my head a shake. Your mom’s post was very inspirational, a strong woman. The affirmative wording you mention is intended to make you feel optimistic (you can bet your pants that they spent a lot of time and a lot of survey money identifying our emotional “catch points”) but I remain skeptical about the actual projections. I have seen so many “unforeseen factors,” and “honest errors” over the years that I no longer believe any of the figures provided in a budget speech. The proof will be in the actions, not the words, and, historically, there’s always been an awful lot of “creative accounting” behind government budget projections.Truth is, that we average Joes never know how much fact is contained in a budget speech and how much “optimism” until after the term has passed and we can look back. Until that time the accounting methods used are so obscure, no one – -including the government – can tell you with any accuracy what’s going on. That’s exactly why I felt that the people that have lived here for much longer and have been through it over and over would have a different overall view. I agree with you that until it’s over and we look back is when the final verdict will come in. The UK will be lucky to balance the budget by 2050. At least it’s not as bad as in Cyprus though, yet. Have a great weekend Mr.CBB.